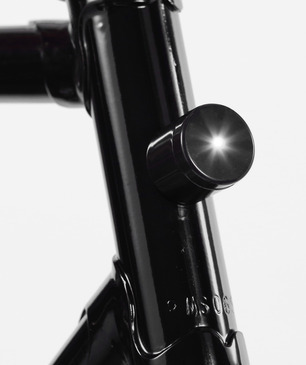 Lucetta ~ Magnetic Bike Lights from pizzolorusso on Vimeo. 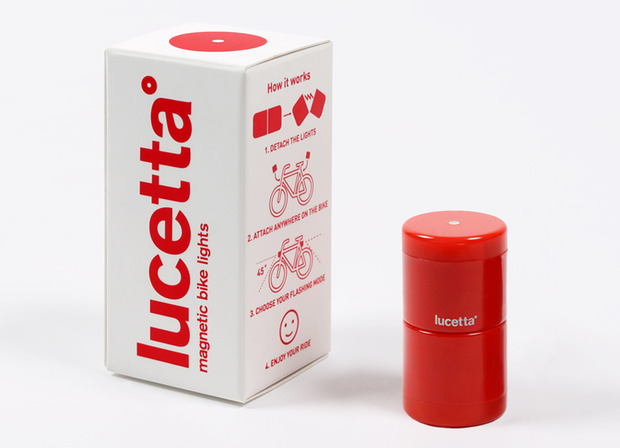 Lucetta is an innovative set of two small magnetic bicycle lights. While many brands have begun to offer attractive bicycle lights in recent years, few offer the ease of use that Lucetta does. Designed by Helsinki-based Emanuele Pizzolorusso for Italian design company Palomar, Lucetta is a set of small LED lights that secure to your bicycle—or any metallic surface—using magnets, and nothing else. 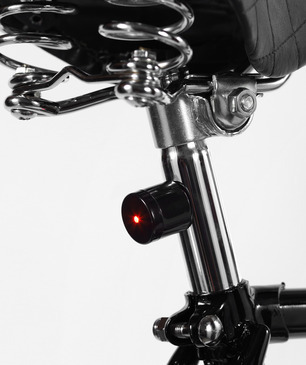 Snap the lights to the bike to turn on steady light, snap them back once to switch modes to slow flashing and once more to set fast flashing. And once the destination is reached, the tiny lights connect to one another for carrying, forming a single object hardly bigger than a roll of nickels.